Poor Denzel has had a horrendous start in life. He was rescued from a dreadful home by his present owner. His vet report indicated how neglected he had been and how his current owner has invested in remedial care. He is now a healthy boy but, sadly for him, this has become another problem. He is a typical young shepherd and he is in full hormonal surge. So, he is bouncy and full of beans. This has meant that his current owners, who rescued him, find that they now cannot cope with him. They both have health issues and they feel that Denzel deserves a better life. We agree. 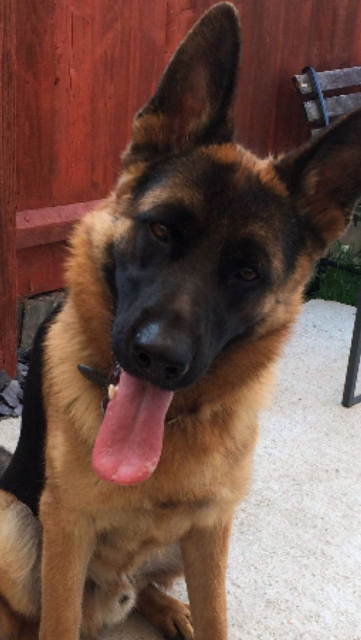 Our assessor thinks that Denzel is a super boy who only needs what every GSD needs: a knowledgeable owner who gives him leadership and a routine that includes daily exercise and on outlet for his energy both mental and physical. 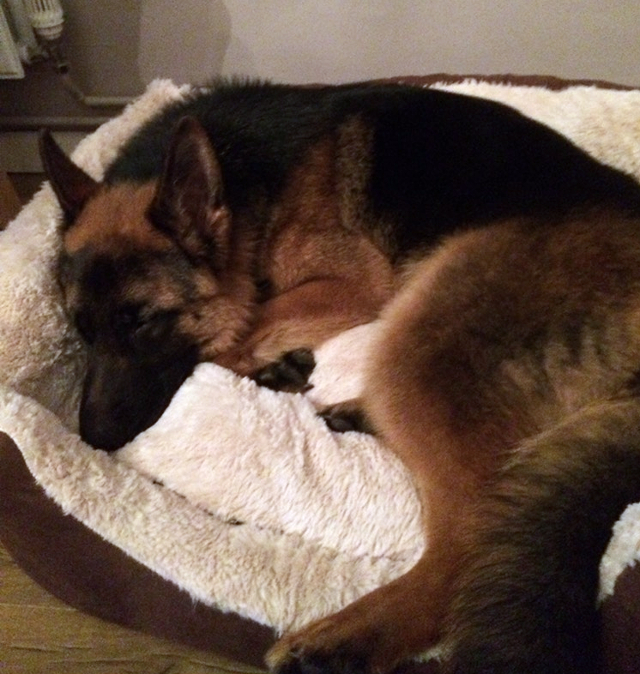 We have no doubt that Denzel has the potential to be a credit to he breed in experienced hands. He will need to be taken back to basics and retrained. He is not currently walked so he gets very excited at the prospect of any walk. 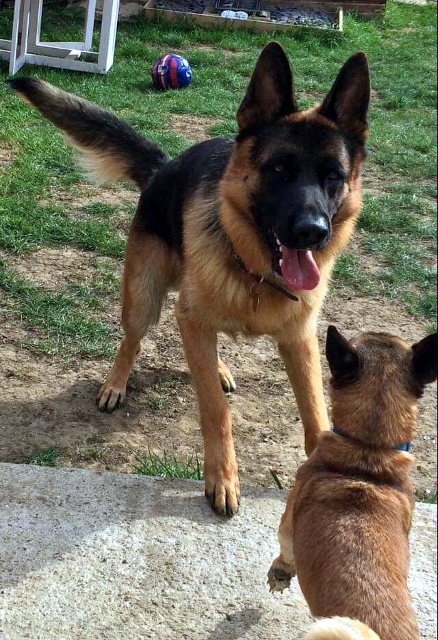 He will require an owner who can manage a young untrained dog. Having said that, there does not seem to be anything complicated about this boy. He is sweet natured and affectionate. He is friendly to strangers and children and has a lovely outgoing nature. Are you the person to help this boy develop into the star that he has the potential to become?